Nothing much happens in the sleepy town of Venus Cove. But everything changes when three angels are sent from heaven to protect the town against the gathering forces of darkness: Gabriel, the warrior; Ivy, the healer; and Bethany, a teenage girl who is the least experienced of the trio. They work hard to conceal their true identity and, most of all, their wings. But the mission is threatened when the youngest angel, Bethany, is sent to high school and falls in love with the handsome school captain, Xavier Woods. 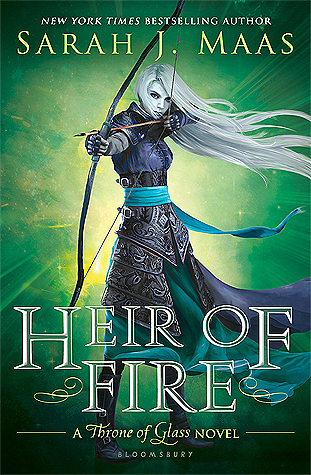 Okay, I'll admit it; I first fell in love with Halo's cover. Isn't it beautiful? I know I'm not the only person out there who saw the cover and immediately added it to their to-read list. Still, I'm glad this cover caught my eye because behind it there's a story worth reading. Angels are portrayed in a very different light from those in other angel novels I've read. The angels aren't fallen, but rather sent on a mission to save mankind from the forces of evil. While Beth is tempted by Xavier, she is still a heavenly being. 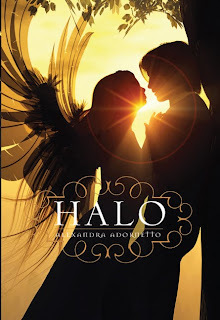 I really appreciated that Adornetto wrote Beth's character as an angel that was both celestial and human. It made her more relatable as I read about the struggle between her heart and her responsibilities. I loved the relationship between Xavier and Beth. It was so sweet and honest. Their love was also forbidden, which made it all the more romantic. I thought that I might find Xavier boring because Beth was so intriguing, but I didn't. Both characters are realistic and strong. I fell head over heals for Xavier just as much as Beth did. In my opinion, this book has a slightly Christian feel to it. Being a Christian, I enjoyed the familiar concepts and morals. Therefore I would recommend the novel to Christians, but I'd also recommend it to non-Christians. I don't think the religious aspect of the novel would ruin it for anyone. Overall, Halo was an excellent read. Romantic and original, it captured my heart. I’m definitely recommending it to everyone! I cannot wait for the sequels that are sure to come. After reading your review, I want to read this so badly.